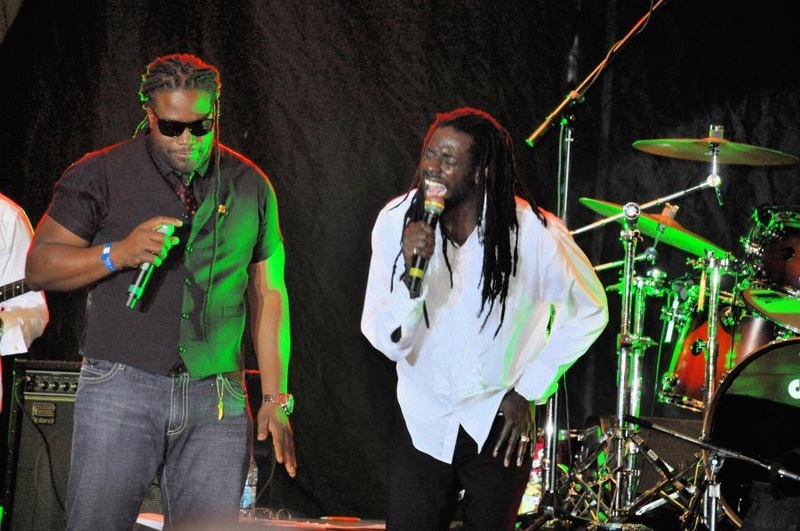 Caribbean Lifestyle Media: The Reggae/Dancehall fraternity was on hand for Buju Banton's benefit reggae concert in his honor billed "Before The Dawn ." Gramps opened his set with the Morgan Heritage classic "Down By the River" that fans lapped up from start to finish. "Down By The River" made way for the heartfelt "Wash the Tears" from his award winning debut album "Two Sides Of My Heart " Vol 1. He poured his heart into the song, so much so that one fan commented "I can feel his passion, his energy...it is intense.' He warmed hearts with "Come Back To Bed," which proved the perfect offering for the many beautiful ladies who howled for more. And more they got as he segued into the all time classic - "She's Still Loving Me" that struck a responsive chord and proved the perfect offering for the 10,000 plus fans who were at his beck and call. He closed his stint on stage with "The Almighty, a new song that is currently riding high on the charts in Italy and Antigua. Gramps, performed in Miami on Buju's "Rasta Got Soul " in 2009 tour. "A dear friend of mine is in the house tonight" Buju said. "I could not do this without calling him on stage. Gramps Morgan where are you?" Gramps told us, "A few tears came to my eyes when I had a moment to reflect on the magnitude of what had transpired tonight. 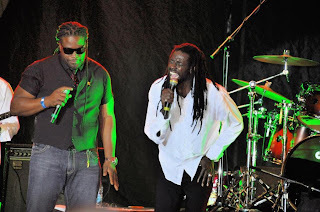 Buju is my brother and a true friend that I love and respect with all my heart. As Martin Luther once said, The ultimate measure of a man is not where he stands in moments of comfort and convenience, but where he stands at times of challenge and controversy. Be strong my friend! Everything will be alright."